Now, this should not be the case in the majority of car stereos. Car stereos are built in such a way and majority of them come equipped with a fan to prevent heating of the stereo. I will start by discussing the possible causes of overheating of the car stereo. There can be a number of reasons but the most common cause is the faulty wiring. There is no problem if the car stereo is getting warm during the drive, you should be concerned only if the car stereo is too hot to touch or getting hot quickly after starting the car. I recommend checking the entire installation system of the stereo to avoid any damage to car electrical wiring. Check the electrical wiring of the car stereo carefully and match with the instruction manual. If you installed the car stereo system at home by yourself, I recommend getting it checked by some technician. 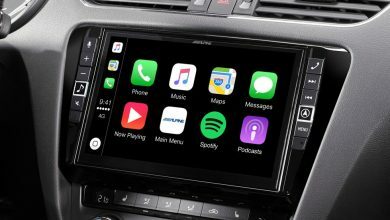 I have just posted an article on installing a car stereo, give it a read if you are facing problems installing car stereo at home. If you don’t find any possible cause, go for a detailed service of the entire car stereo system. Dust trapped in the car stereo can also be the possible cause and answer to your question, Why Is My Car Stereo Getting Hot? This is one of the major reasons for the overheating of any car stereo. Cheap brands use low-quality manufacturing material that ends in the problems and mainly overheating of the car stereo. This is again one of the major causes of the overheating of the car stereo. Check the entire wiring to correct the possible cause and let your stereo perform at optimum levels. I have just posted a guide on car stereo wire colors, give it a read. If there is an issue in the electrical wiring of the car, it can lead to a faulty car stereo that may end up heating. Check the power cables of the stereo that get attached to the main power supply. Also, check the electric wiring from the car battery if prevent any damage. Now many people neglect this one, if your car stereo is filled with dust, this will prevent air entry that may lead to overheating. I recommend keeping your car interior clean and especially car stereo. A clean car stereo performs better than a dirty and dust filled that may end up with many issues. I have seen many fellows who are looking for a new car stereo and they can’t even keep it tidy and clean. People are ready to spend more but it is difficult for many to keep it clean and dust free. Now, this may surprise many, Yes, I am talking about adding a customized fan on the top of the car stereo. Yes, just saw this amazing video, a fan send me. He used a modified PC fan and attach it to his car stereo and the result was amazing. Car stereo stopped being heated and performed well during the entire journey. One of my fellows had issues with his car stereo. His car stereo would overheat immediately after he plays any DVD. He checked the wiring and performed a detailed service but the overheating issue remained the same. Eventually, he realized that it was the manufacturing fault. He had bought a low-quality brand that just focused on keeping the price down and the end result was this faulty car stereo. Now he had two options either to buy a new one or to find a solution. That genius found the best solution. He removed the car stereo and attach a modified PC Fan on the top of the car stereo with a harness. PC fan was secured with a harness on both sides of the stereo. Now once the fan is properly attached to the stereo, attach the power cables of the fan to stereo wiring. This will ensure that whenever car stereo is turned on, the fan will auto-on. This resulted in keeping the stereo at optimum levels and no issue of overheating. that’s why I always recommend going for a quality brand. 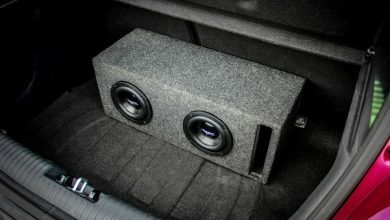 Read this about Best Double Din Car Stereo 2019. Now the majority of car stereo comes with a factory-fitted small cooling fan attached to it that keeps the temperature under limits. Also, I recommend that If you plan for a long drive in summer, check the air conditioning system before you leave. One final suggestion is to turn off car stereo when your cabin heating system is on. 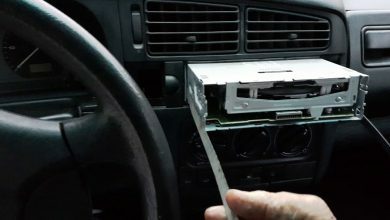 I hope after reading this detailed article on the overheating of the car stereo, you will have a better understanding of how things work. I have explained all the possible causes of overheating and along with that, I have given methods to prevent overheating of the car stereo. Feel free to contact me if you have any questions related to the car stereo. I personally answer to all emails. You can use the comment section below to contact me.